Authors: J.D. Bray et. al. A great mystery in particle astrophysics today is the production of the so-called ultra-high-energy cosmic rays. 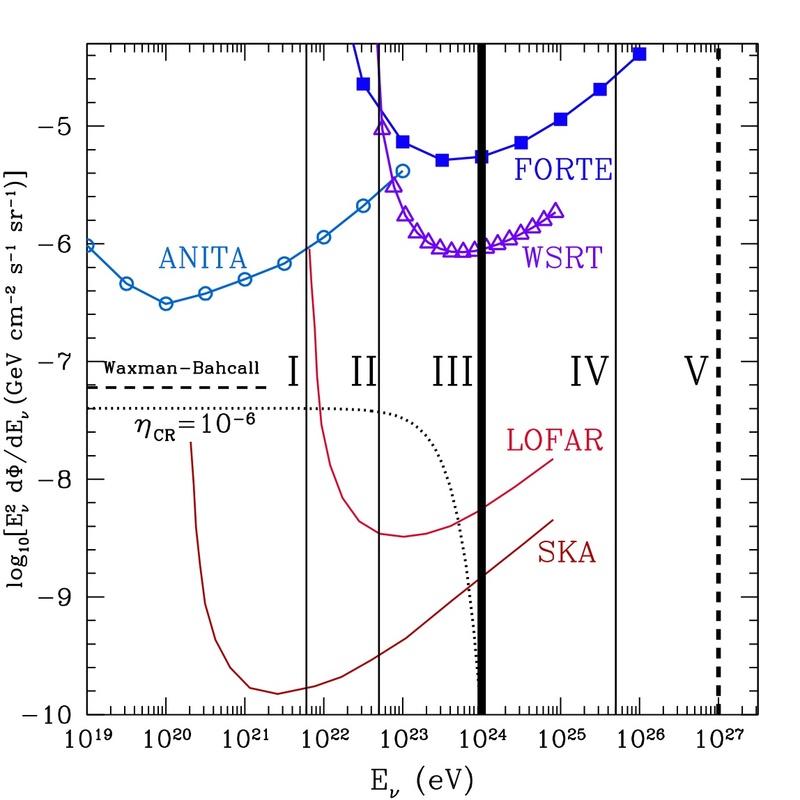 In general, cosmic rays are produced in a variety of contexts (see this recent Astrobite for more on that), but astronomers have measured a few to have almost unbelievable energies. The first observation came in 1962 at the Volcano Ranch experiment in New Mexico where Dr. John D. Linsley measured a cosmic ray to have an energy of 1020 eV or 16 J. Another ultra-high-energy cosmic ray, discovered in October of 1991, was dubbed the “Oh-My-God Particle”, which had an energy of 3 x 1020 eV (50 J). To put that into context, 50 J is the kinetic energy of a baseball traveling at 60 miles per hour. The name ‘cosmic ray‘ is something of a misnomer. The word ‘ray’ makes it sound like it’s some sort of light, like gamma rays. But, that is not the case. Cosmic rays are simply protons that have been accelerated to high energies by some astrophysical mechanism. The mystery of ultra-high-energy cosmic rays lies in that acceleration. Nobody is sure exactly what is accelerating these cosmic rays to such high velocities. Unfortunately, they are also very difficult to study because they have a relatively low flux here at Earth. The arrival rate of ultra-high-energy cosmic rays are approximately one per square kilometer per century. The Pierre Auger Observatory in Argentina is an array of cosmic ray detectors that spans an area of 3,000 square kilometers (roughly the size of Rhode Island or Luxembourg), but despite their impressive detector size they still only detect 15 ultra-high-energy cosmic rays per year. Today’s paper by J.D. Bray et. al. explains how to use the Moon as a cosmic ray detector to increase the collection area far beyond that of the Pierre Auger. When cosmic rays smash into things, a shower of various particles is produced. At Earth, this usually happens in the upper atmosphere, and it is actually those secondary particles present in the shower that are detected by observatories like the Pierre Auger. Those particles are often charged, and their rapid movement through a dense medium, like the atmosphere, causes them to emit a very brief pulse of light in the form of radio waves (Figure 1). The authors hope to use these characteristic radio emissions that occur when cosmic rays strike the Moon’s surface to study the cosmic rays. Radio waves cannot travel very far through the Moon’s interior, which means only cosmic rays skimming the Moon’s surface will produce radio pulses that can be detected here on Earth. That notwithstanding, the Moon will still make a truly impressive cosmic ray detector. The authors estimate that it will be equivalent to a 33,000 square kilometer (roughly the size of Maryland or Belgium) cosmic ray detector on Earth. That’s 10 Pierre Auger observatories! With a detector of that size, the authors expect to see up to 165 ultra-high-energy cosmic rays per year. There is still one issue for the team, though: a radio telescope array that is sensitive enough to detect the faint pulses produced by these cosmic rays does not exist yet. Fortunately, astronomers are about to build the highly anticipated Square Kilometer Array in South Africa and Australia, which will provide the sensitivity necessary to put this lunar technique to use. Once the array is complete, we may finally learn something about the origins of these ultra-energetic cosmic rays.